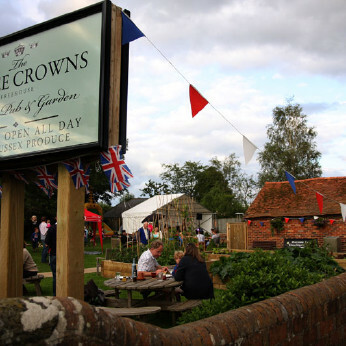 The Three Crowns is a cosy, family run home from home, a warm and welcoming village pub. We are located in the quintessential English Village of Wisborough Green, a conservation area in the beautiful West Sussex countryside. We are on the famous A272 which borders the stunning landscape of the South Downs National Park.